Absinthe Duplais is produced with the typical Swiss precision and care. The base is a French recipe dating back to the 19th century. Absinthe Duplais is distilled on old stills, this way we can assure that the result is accurate and authentic. Herbs are maybe the most important factor when it comes to high quality Absinthe. 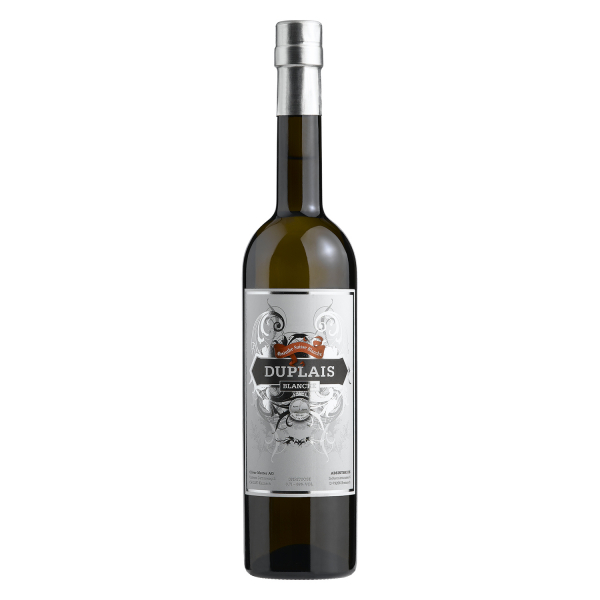 Therefore we have selected the best possible quality herbs and winealcohol to make Absinthe Duplais an adorable, excellent drink. We created a composition of herbs, where all aromas coexist and none of them is predominant. Although this balance sets free a specific pleasant taste, which is light, complex and subtle. The combination of Art and Absinthe creates a challenging dynamic of past and present. Steven Stapleton from the well known band Nurse With Wound gave us the artwork for the label – for which we are very thankful! Absinthe Duplais is the second Absinthe in the series “Absinthe Art Edition”. All who missed the limited Edition Box Set, may still enjoy this unique item. Related links to "Absinthe Duplais Blanche"
Customer evaluation for "Absinthe Duplais Blanche"